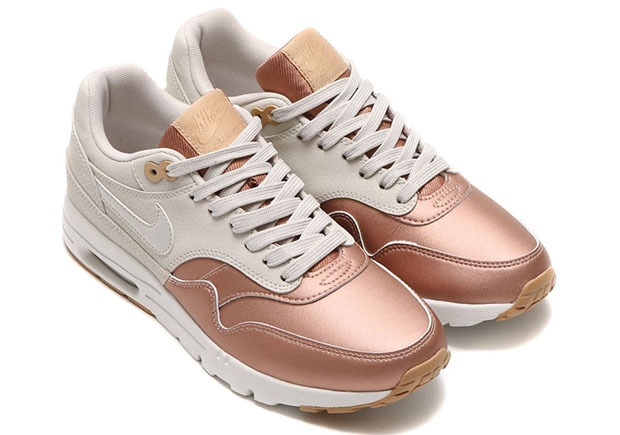 The Nike Air Max 1 gets a luxe new look for the ladies with these two colorways featuring metallic toes. 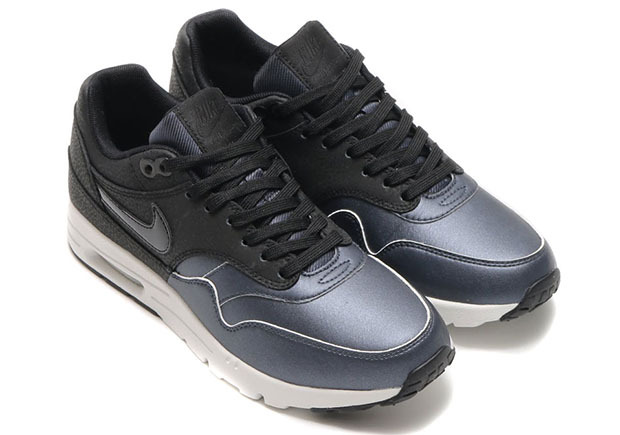 The Ultra edition of the classic runner receives the premium feminine looks with a two-toned upper with matte finishes on the back half and metallic finishes to the toes. The stylishly subtle color combinations include a Black/Metallic Hematite blend as well as a stunning Light Bone/Metallic Red Bronze look. 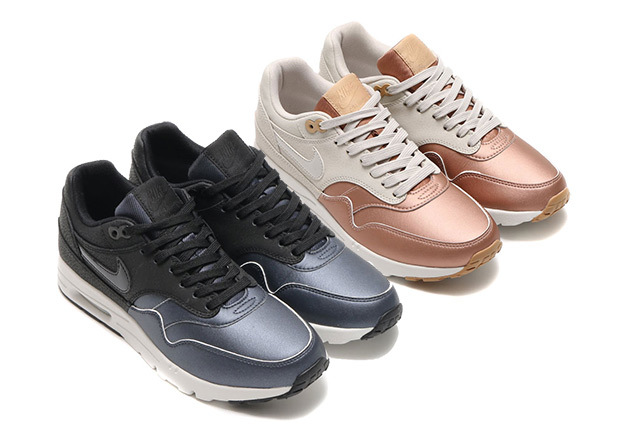 The “Metallic Toe” Women’s Air Max 1 Ultra pack will arrive at select Nike Sportswear retailers later this fall.